Located at City Hall in the Collections Department. The Mission of the Clarksville Parking Authority is to provide, maintain and operate adequate, high-quality, customer-focused public parking and encourage economic growth for the benefit of the residents, businesses and visitors of Clarksville. 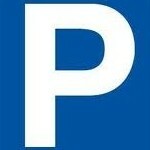 Responsible for the operation and management of city-owned on and off-street parking facilities. Meter maintenance, construction parking permits, hang-tag applications.